車天車地 » 建議及支援 » 不能 upload photo. Hello. 不知為何我不能 upload photo, 出了"無效的photo"的字句, 好怪, 請問有冇人是這樣呢? 會唔會又係要清除 browser cookies 既問題呢? 見到其他 "絕世高手" 好似又冇乜野咁..
我係得一個位 upload，如果要擺多幾張就要用 edit function ar. 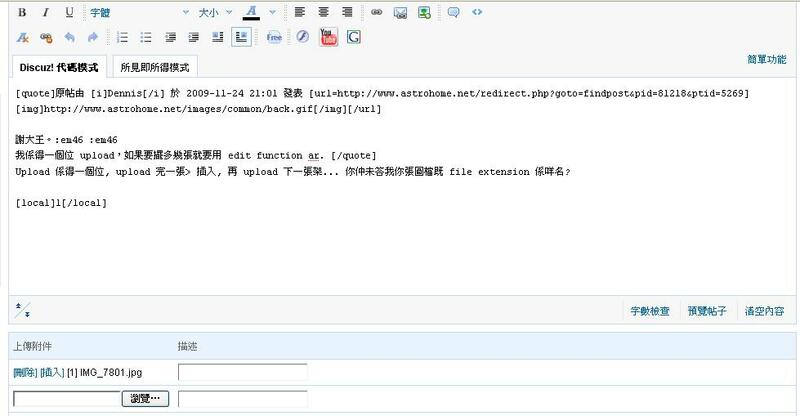 Upload 係得一個位, upload 完一張> 插入, 再 upload 下一張架... 你仲未答我你張圖檔既 file extension 係咩名? 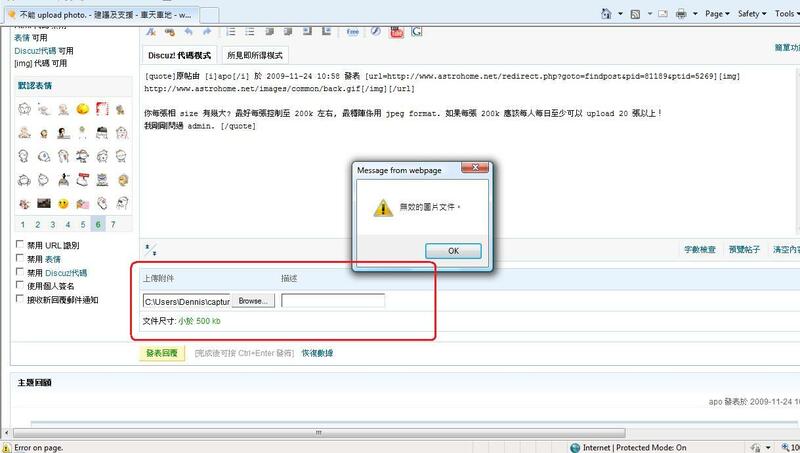 My file is "capture screen.jpg"
咁要搵其他用緊 IE8 既 user 試試了..
© Astrohome.net, Registration request: please contact any user to get the invitation code.